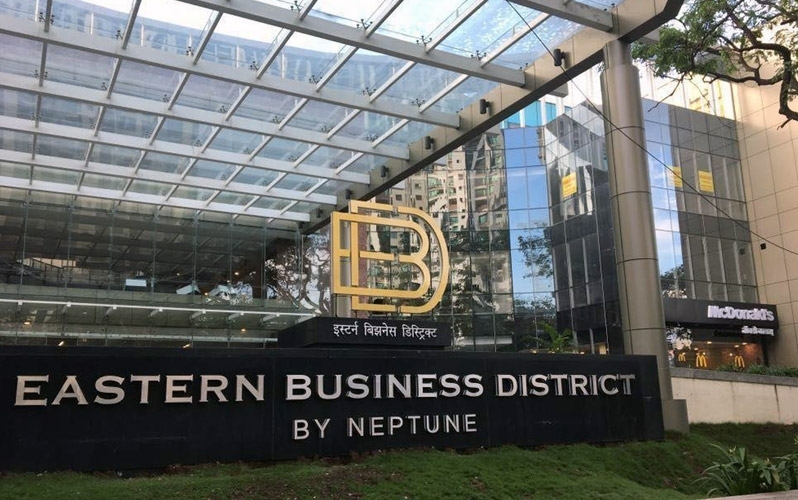 Eastern Business District is located at one of the most sought after localities in the heart of the thriving LBS Marg, just off JVLR and the only office-retail complex in Mumbai. This project provide office space with starting area from 750 Sq.ft To 1100 Sq.ft Carpet Area at affordable cost. Crafted to let everyone working here enjoy an enthralling lifestyle, the business district boasts an array of amenities and comforts. Bhandup West is a highly developed suburb within the city of Mumbai, Maharashtra. The area lies well linked with relax of the city through a dense road system. LBS Marg is the key node that additional joins to the Eastern Express Highway. BEST buses also run to and fro from the area at normal times. Living here means having all what you ever wish for your self and for your family. The place boasts of many sectors including CEAT Tyres, Asian Paints, BASF, etc. Apart from these big companies, there are several small scale manufacturing units all over Bhandup West. * Kitchen : Vitrified Flooring. * Living, Dining : Vitrified Flooring. * Master Bedroom : Vitrified Flooring. * Other Bedroom : Vitrified Flooring. * Toilet : Anti Skid Tiles. * Interior : Oil Bound Distemper.